Lock in a great price for Port Douglas Reef Club Apartment 55 – rated 8.5 by recent guests! Set 10 minutes' walk from from The Reef Marina in Port Douglas, this air-conditioned apartment features a balcony and access to landscaped gardens with an outdoor pool and a barbecue. Featuring free private parking. A microwave, stove top, refrigerator and kitchen appliances can be found in the kitchenette and there is a private bathroom with free toiletries and a hairdryer. Towels and bed linen are available. You can play tennis at the property, and the area is popular for golfing and horse riding. Rainforest Habitat Wildlife Sanctuary is 1.4 mi from the property. The area is popular for diving and fishing. 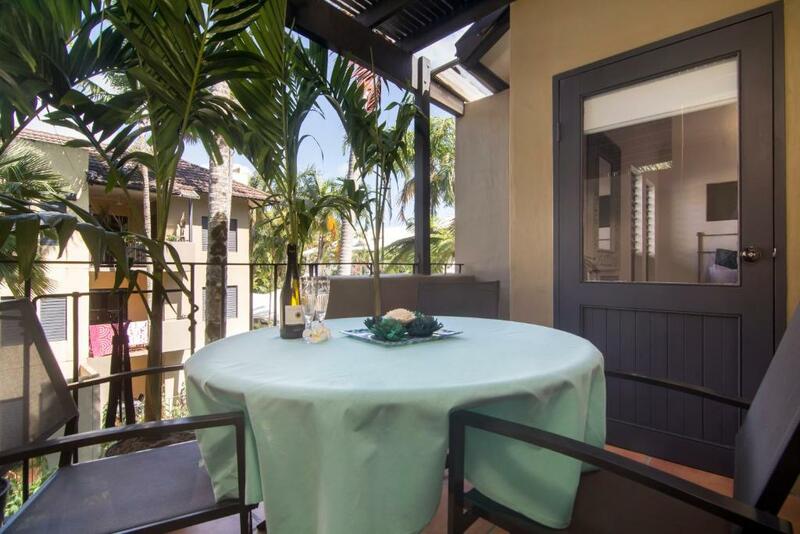 The nearest airport is Cairns Airport, 33 mi from the property. 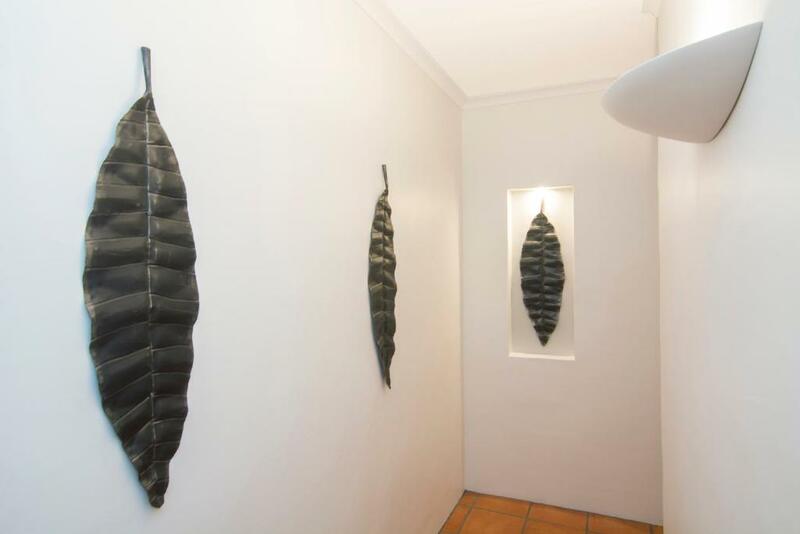 This is our guests' favorite part of Port Douglas, according to independent reviews. 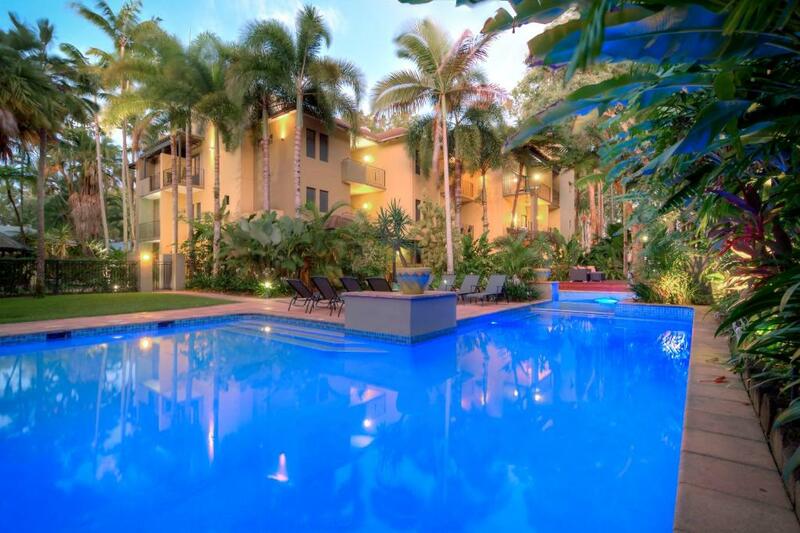 뀐 Located in the top-rated area in Port Douglas, this property has an excellent location score of 8.8! 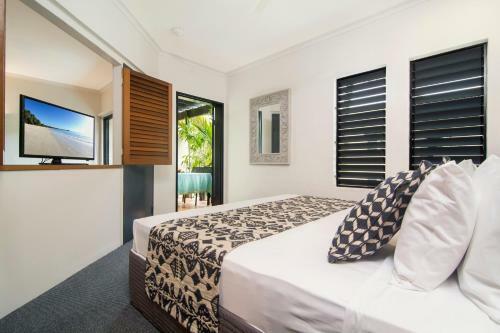 When would you like to stay at Port Douglas Reef Club Apartment 55? 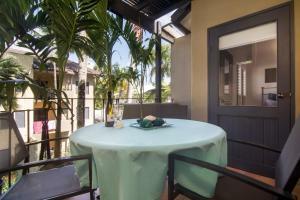 This air-conditioned, 2-bedroom apartment is located on the top floor. The master bedroom has a king-sized bed or 2 single-sized beds and the 2nd bedroom has a queen-sized bed. The living area has a double sofa bed. Each bedroom opens to a balcony. The kitchenette with a stove top, microwave, refrigerator and other appliances. Linen, towels, a hairdryer and toiletries are provided at the start of your stay. Free WiFi is available. There is a covered car park under the building and a 2nd car park at the rear of the property. Guests have access to communal laundry facilities and a tour booking deck downstairs. Apartment 55 is in an excellent location. 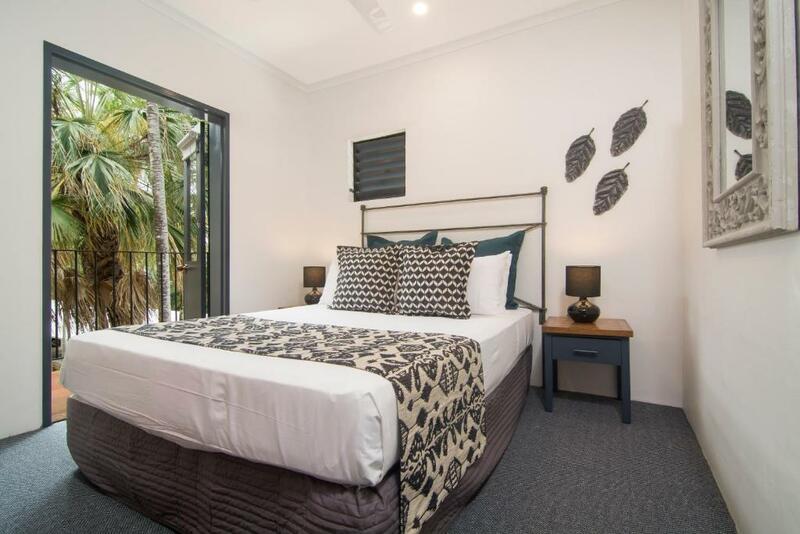 Just a few minutes walk to the famous Four Mile Beach, and a little further to The Marina and Macrossan St, the heart of Port Douglas, with vibrant cafes, shops, entertainment and fine dining. But The Reef Club is still far enough away from the town to appreciate the tropical atmosphere and quiet surroundings. This apartment looks out over the landscaped gardens with the BBQ area and pool. Also on the top floor of a low-rise means no noisy neighbours above. 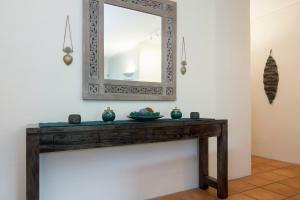 The stylish apartment is freshly redecorated with a cool, tropical vibe. With two seperate bedrooms each opening onto a balcony, full bathroom with bath and shower and brand new kitchen with a cook-top, microwave and fridge.Downstairs in the landscaped gardens you will find a large covered BBQ area for guest use – a fabulous spot to enjoy the tropical scenery while you BBQ the days catch. The pool and spa are situated nearby set in landscaped gardens with shaded areas from the midday sun. 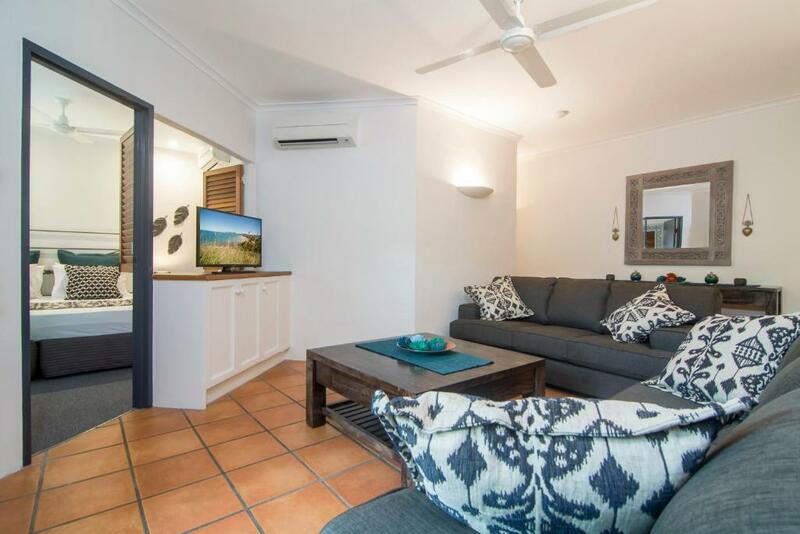 The apartment is ideal for families, friends on a budget or simply a couple taking advantage of the low rates for a long-term booking. Hi, I'm Monica. Originally from the UK and now I live in Sydney. I work from home as an interior decorator and I love living in the City where the CBD, shops, cafes and bars museums and art galleries are so close. Twice a week I sail from the CYC Yacht Club on Sydney Harbour, very close and home to the famous Sydney to Hobart annual yacht race. I've been holidaying in Port Douglas for 20 years. It has everything that I love, village atmosphere, great restaurants, resort shopping and tropical nights. It's the closest point The Great Barrier Reef, the Daintree Rain Forest and Cape Tribulation. Book a holiday in my apartment and you'll love it too! 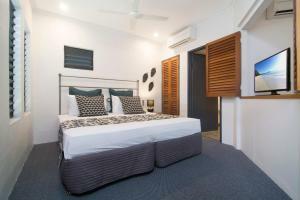 House Rules Port Douglas Reef Club Apartment 55 takes special requests – add in the next step! Please note the apartment is privately owned and managed and is not associated with the building, resort or on-site managers. The laundry facilities at the complex were not open and no one at reception at the time . The appartment had everything we needed and beautifully furnished . Just a couple more blankets would have been handy. This accommodation was EXCELLENT value for money. I stayed with my husband and three boys. We loved that the pool was heated, with my children swimming late into the evening. A heated pool is not common in PD. The apartment was quiet, very nicely furnished and had good cooking facilities, even for a family. Very clean. The netflix was enjoyed by my boys! I have never received the email how to get the key before I arrived there. When I got there, I called Monica several times, but she didn't answer (If she would not answer, why she put herself as the primary contact person?!). When she answered the phone, she was quite unhappy and impatient. Even if she sent me the email before for some reason I didn't receive, I don't think it is big trouble for her to pick up the phone and let me know what happened politely. I was worried that day there was problem with my booking and I may not live in with all my family. Not happy with the $300 deposit either, I didn't have this with all other bookings. This apartment only has one bathroom and no refund if you change your mind, so think carefully before you make decision.